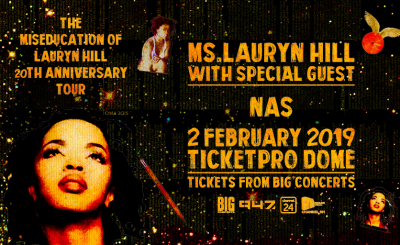 The Grammy Award-winning artist will perform in Johannesburg to celebrate 20 years since the release of her debut solo album The Miseducation of Lauryn Hill. She will feature legendary rapper NAS as her special guest. 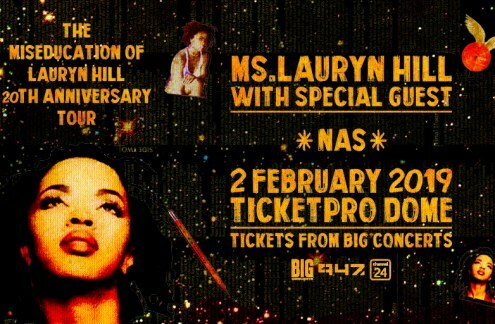 Lauryn Hill will perform on 2nd February 2019 at the Ticketpro Dome.